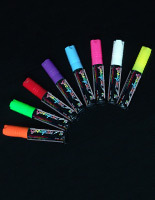 This Chalk Ink Marker Uses Neon Pigments to Attract the Gaze of Passersby! 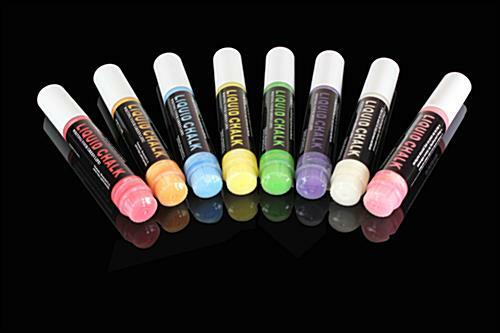 This Art Kit Is a Liquid Pen Collection with Flat Tip Paint Sticks! 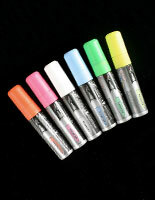 This Chalk Ink Marker Is a Great Choice for Any Store! 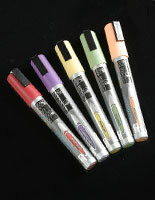 Ink flows fluidly from the flat tip for easy sign making. Quick drying liquid prevents unwanted running. 9/16" tip allows users to vary the thickness of the stroke. 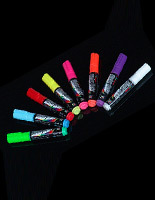 This chalk ink marker with water based coloring is sold in a set of eight distinct colors to best attract potential clientele. 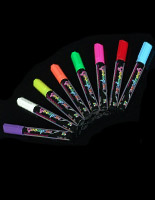 The art package includes white, blue, pink, green, orange, purple, yellow, and red shades. 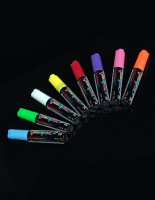 This chalk ink marker, also known as a liquid pen collection, allows users to erase messages with a damp or dry cloth. 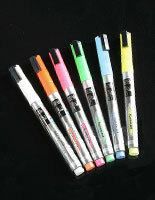 The art package has 14mm flat tip designs to vary the stroke styles used in the advertisement. 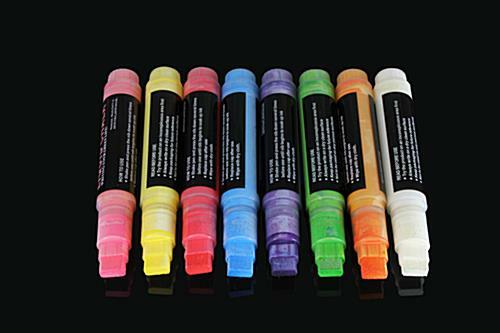 This chalk ink marker will dry quickly to make sure the words and drawings stay crisp. 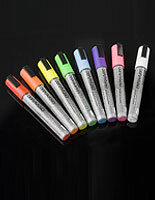 Please note: While this pen can be used on all non-porous surfaces, please use on a glossy blackboard, glossy whiteboard, or texture board (see Related Products.) Additionally, if ghosting or residue is left behind on a glossy board after wiping clean with a dry cloth, follow up with a damp or wet cloth to remove access ink residue. If ghosting or residue is left behind after wiping clean on a texture board, follow up with a Magic Eraser to remove access ink/ghosting.